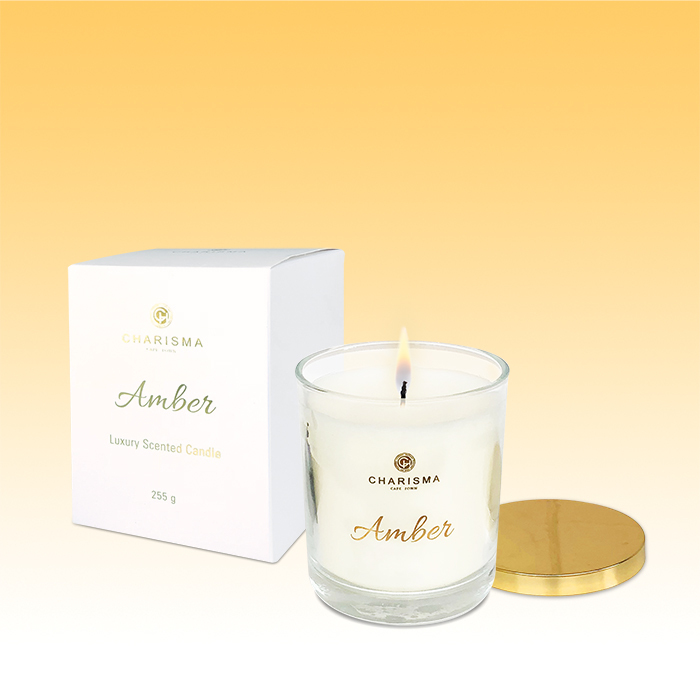 With its rich base of vanilla, musk and sandalwood well balanced by lively top notes of jasmine, lavender and orange, Amber is the ultimate oriental fragrance – sweet, resinous, rich and warm. 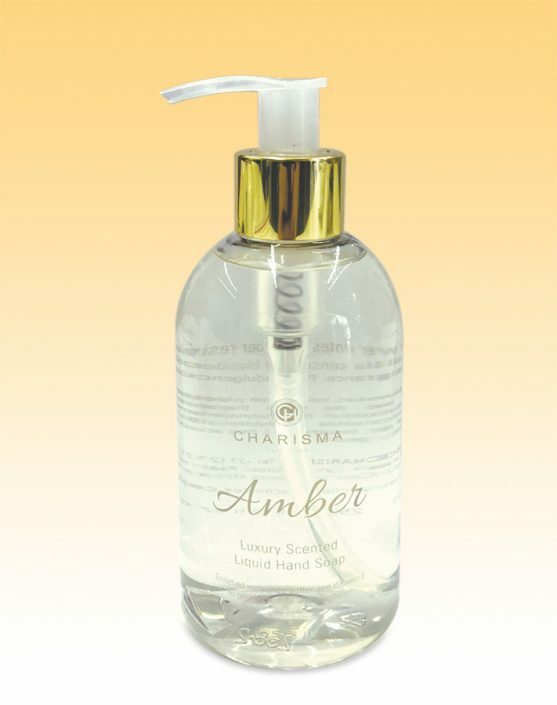 The collection includes both home fragrances and body products all in clean, white, gold-foiled packaging. 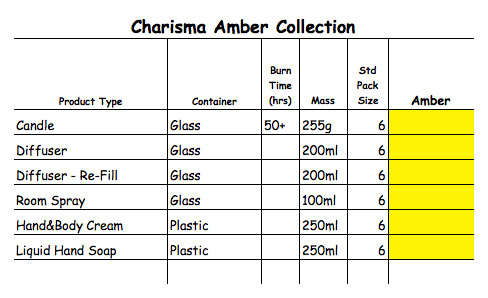 This Amber range is made using the finest fragranced oil imported exclusively for Charisma. Only 100% cotton wicks are used in the production of the candles which are hand poured using the finest quality natural wax blend and only high quality imported fibrous reeds are used in this diffuser.